Consumers Credit Union’s Kristen Davidson was recently named the Professional of the Year by the Credit Union National Association (CUNA) HR & Organizational Development Council. Davidson was recognized for her ambitious professional and organizational development initiatives that have dramatically increased employee satisfaction and engagement at Consumers. Davidson, who has been with the credit union four years, was recently promoted to vice president of organizational development. In her time with Consumers, she has been responsible for creating a robust internal leadership program, revamping the annual review process and establishing other initiatives to create collaboration and learning among staff. Due in part to Davidson’s efforts, the most recent Consumers employee satisfaction survey revealed employee engagement at an all-time high of 4.48 out of 5, which played a large factor in Consumers being named the Nation’s Best Mid-Sized Company to Work for in 2016. 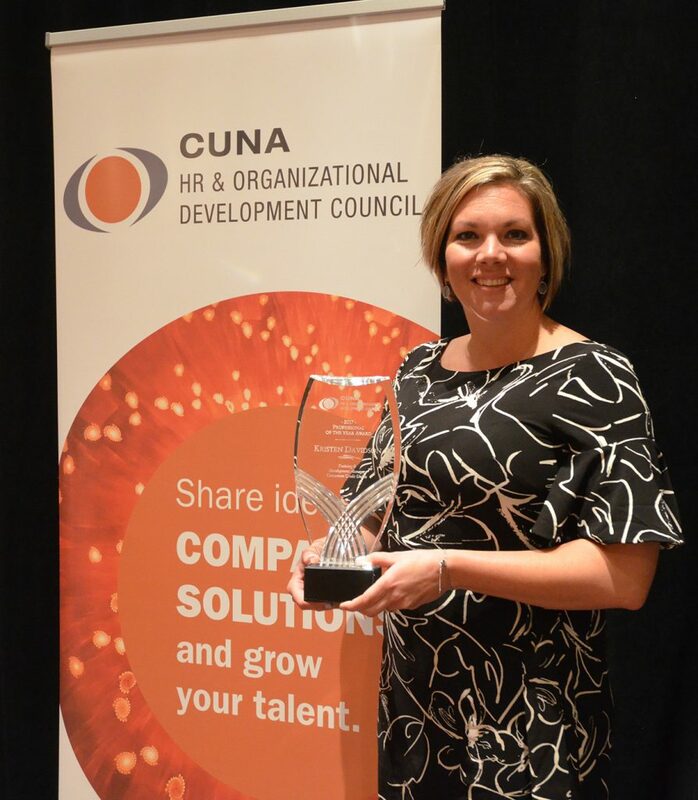 In addition to investing her time and talent in CUNA’s HR & Organizational Development Council, Davidson also participates in the Kalamazoo Human Resource Management Association as a way to gain new information, share best practices and develop the skills of colleagues in the financial industry and beyond. Davidson was among three individuals and seven credit unions to be honored for their achievements at the 2017 CUNA HR & Organizational Development Council Conference, which was held April 19-22 in Las Vegas.